The Holmes Brothers' voices are too potent, their harmonies too smashing, and their love of vintage sounds too immense for them to be content with producer-dominated, softer urban contemporary sounds. This set included some riveting gospel tunes like "None But the Righteous" and "Up Above My Head," plus a credible (if a little lengthy) version of "When Something Is Wrong with My Baby" and the tighter, hard-hitting tunes "Please Don't Hurt Me," "Ask Me No Questions," and "The Final Round." 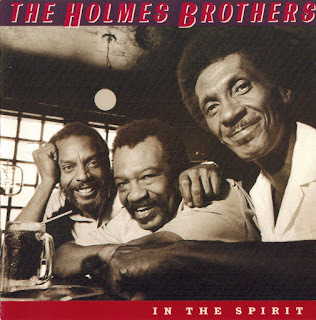 If straight-ahead, rousing shared leads and booming harmonies interest you, the Holmes Brothers do it the way they used to throughout the South in the '60s and '70s.